I constantly see lean principles at play in the world around me. Whether I'm looking for opportunities in a poor customer experience or being surprised at the efficiency of my dentist's office staff, I am just hyper aware of processes and how they work. And I always seem to find examples of lean principles in regular mundane stuff, like in the lean preparation of Vietnamese pho soup. It's a blessing and a curse! My wife and I watch Top Chef a lot. It's a nice way to unwind at the end of the day. It's exciting to follow the different chefs as they compete against each other. And there's a LOT of great food! But even relaxing in front of the TV, my lean mindset embraces and critiques everything that we watch. One episode caught my attention recently. Chef Mark McEwan, who is normally one of the judges, demonstrated how fast he could make a meal. Just like the contestants, he had to use the food in the Top Chef kitchen, put a dish together and serve it to the competitors. The idea was that McEwan would set a super fast time, and the contestants would have only that time to compete to make their own dishes. 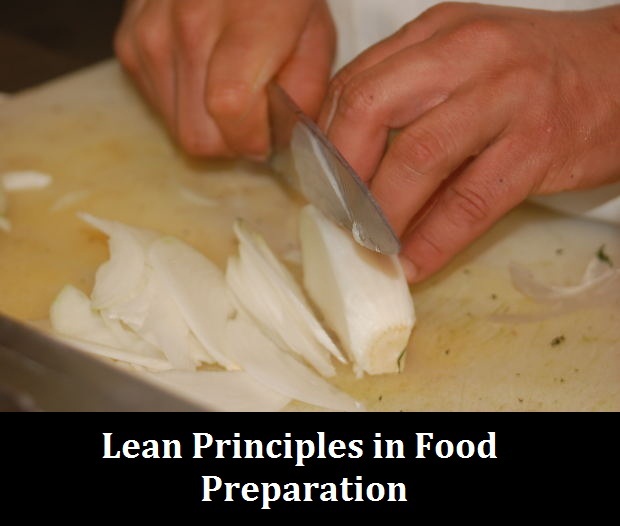 Lean principles in the kitchen? What struck me was the approach that McEwan used to make his dish. Usually, there's a mad scramble of chefs working against the clock, running around, dropping utensils, and basically making a real mess of things. But McEwan showed that he had a plan. Although, he still sprinted between stations, he used a methodical approach and many tricks that I would consider lean principles. Keeping everything close at hand, he reduced the number of trips he had to make to the fridge and food storage area. Like most chefs he had multiple pans on the burners and made sure he was active with other preparation, while the food was cooking. Most of this is probably common sense to anyone that's spent some time in the kitchen, mainly due to the "just-in-time" aspect of food preparation. But lean techniques, even when no one calls them lean, are all around us and so are lean learning opportunities. So, keep your eyes open and watch a master chef in his element! What do you think? Can we learn from Top Chef? Or is this taking lean too far? 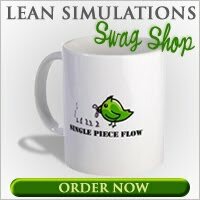 For more videos, check out my list of free lean videos and training tools.